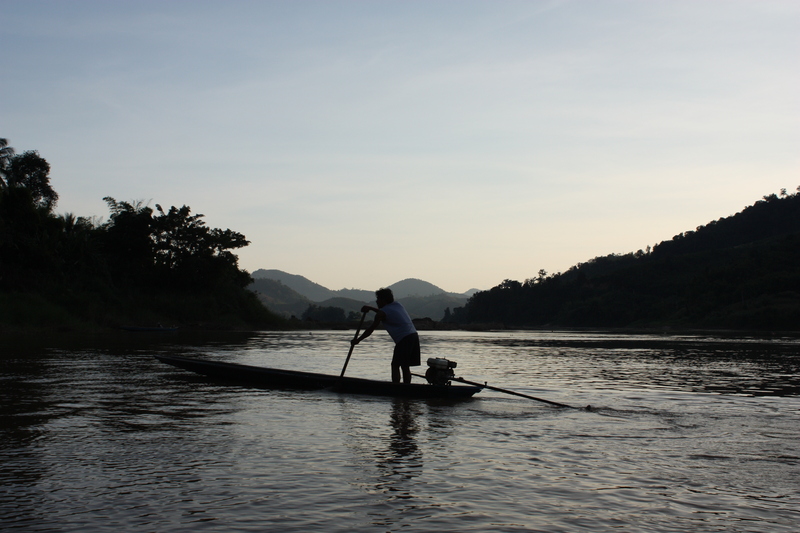 Image 1: A fisherman on the Mekong makes the last catch of the day. KOK WAO, Thailand- Kanlaya Jaiyot wakes at 4 A.M. Opposite the riverbank Kanlaya can make out Laos through the fog; the Mekong serving as a border. In the distance, the vibrations of a gong can be heard, the chanting of monks, and the sharp crow of a rooster. Today is the morning of Loi Krathong, so instead of tending to her fields 41 year old Kanlaya will join her village in the day’s festivities. Embraced by the Mekong River, which translates to Mother Kong, Kok Wao is a village nestled beneath rolling mountains blanketed with maize, cassava fields, and banana trees. Gardens sprout along the river, and fishing boats are anchored to the shore. “Everything would be lost,” Kanlaya solemnly states. One kilometer downstream from where Kanlaya stands is the proposed site for the Pak Chom dam. The concrete dam would connect Thailand and Laos and submerge 45,962.5 rais –73.54 square kilometers–of land in both countries. According to International Rivers, a global organization devoted to protecting rivers, the dam would produce 1,079 mega-watts, though 90% of that electricity would be exported to Thailand. The Pak Chom dam, proposed by the Thailand’s Department of Alternative Energy and Efficiency, would displace at least 20 villages in Thailand, including Kok Wao. While the estimated cost of the dam is USD $1.7764 million, the environmental and social costs are estimated at USD $20 million. In Kok Wao, villagers are already feeling the effects of dams constructed upriver in China. Kok Wao villager, Euy Bootleebong, 39, recalls that water levels and flow used to change according to season, but “now it increases and decreases whenever.” Her home sits only meters from the river’s edge. “The changing of the river’s tide depends on the opening and closing of the gates of the dams in China. Villagers growing crops along the riverbank have a hard time determining when the water will rise. 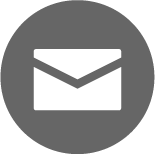 Sometimes it changes multiple times during one day,” says Santiparp Siriwattana-phaiboon, a professor in the school of Environmental Science at Rajabhat Udon Thani University. Professor Santiparp describes how the river’s current has become stronger since the buildings of the dam. “Building dams creates paths for boats, and so architects have had to blow up rocks within the river.” These rocks normally would slow down rapids. With the current less stable, there is an increasing problem of riverbank erosion, making it difficult for villagers downstream to grow their crops. If the Pak Chom dam is built, Kok Wao would be directly affected, forcing 106 families to relocate. Kok Wao’s school, gardens, roads, temple, and homes would be flooded under a reservoir. With the timeline of the Pak Chom dam unknown, villagers have received little information about the project, other than the assurance from local officials that they will be relocated and compensated for their loss of land. Villagers in Rasi Salai have yet to receive compensation for damages for loss culture and livelihood including food, water, and work. Likewise, villagers of Kok Wao would unlikely receive compensation for such losses. 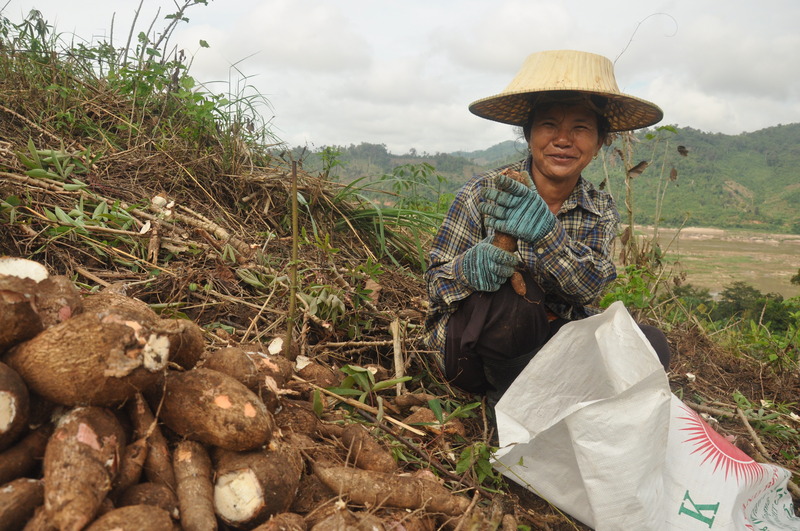 Image 2: A farmer pulls cassava from her fields on the mountainsides. Behind her is the Mekong River. In the distance are the hills of Laos. The Mekong River Commission (MRC), of which Thailand and Laos are member countries, expresses in a 2010 Final Report that, “fish species in reservoirs would decrease, perhaps by thirty percent.” Even a small percentage decrease can result in thousands of tons of fish loss, according to the World Fish Center, an international, nonprofit research organization located in Penang, Malaysia. In Thailand, fish ladders have been put to the test already on a tributary of the Mekong. The Pak Mun dam was constructed in 1994, with an adjacent fish ladder. Such structures, modeled after North American dams, are meant to imitate rocky waterfalls for fish like salmon and trout to easily navigate through. However, the architects seem to have overlooked one important fact: Mekong fish do not jump. Pak Mun fishing communities reported a 50 to 100 percent decline in fish catches after the dam was constructed, according to the report by the World Commission on Dams. Although the cost of livelihood would be high, Mr. Sodaban sees economic opportunity in building the Pak Chom dam. The village economy would move “away from agriculture, towards more tourism,” Mr. Sodaban states. But Pairoa Sujinpram of the Northeast Human Rights and Peace Information Center explained that, “The kind of tourism the government will promote will be about consumerism.” Sujinpram claims that instead of supporting locally owned restaurants and businesses, the government may offer contracts to outside investors. “The villagers would have no participation in this new tourism. It would be the [outside] investors who earn the money,” Ms. Pairoa says. In the afternoon, villagers of Kok Wao and surrounding villages of Pak Chom district crowd together, cheering on grassy hills. Below, dragon boats race on the Mekong. “If the dam is built, we couldn’t have Loi Krathong because we wouldn’t be together,” Ms. Kanlaya says. To these villagers, the Mekong does more than provide the necessities for survival. It is a waterway of tradition. 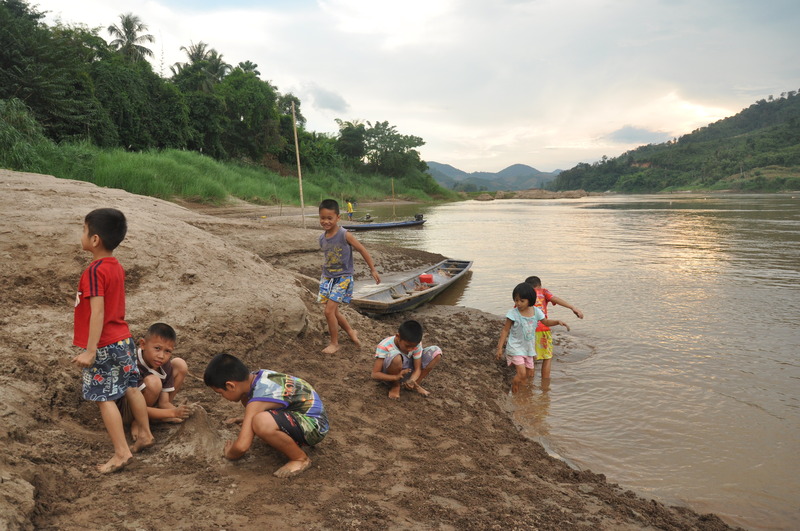 Image 3: Kok Wao children play in the riverbanks of the Mekong. Yet the potential impacts of the Pak Chom dam on lower Mekong communities is only one sliver of a larger story. The governments of the Mekong River Commission, which also include Cambodia and Vietnam, are currently discussing plans for twelve hydropower dams on the river’s main stem. According to the MRC report, 41 species of Mekong fish are at risk for extinction. The researchers also found that agricultural production would be affected; nutrients and sediment, currently carried by the river into the soil of the fertile farmland downstream, would not be able to pass through the dams. In fact the Asian Development Bank (ADB), which has promoted large-scale hydropower projects in the past, has not extended its support for mainstream Mekong dams. 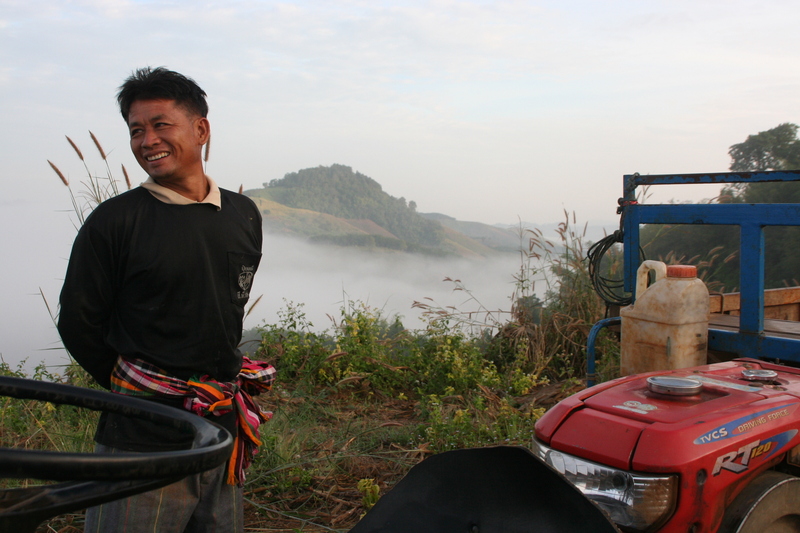 Image 4: In the early morning light, a farmer from Kok Wao takes his tractor to his mountain top fields. Behind him is the Mekong, obstructed from view by fog. That evening, Kanlaya and the rest of the village attend the festival of Loi Krathong. On the pier, villagers drop to their knees and float their decorated Krathongs molded of banana stalk, decorated with flowers and lighted candles. The river is flooded with light, as the villager’s ask forgiveness from the river and wish for good luck for the future. While some villagers like Manit have accepted this possible fate, others will not give up so easily. Ms. Kanlaya and Ms. Euy, two strong female voices in the village, are part of a growing community organization– the Mekong Preservation Group– dedicated to preventing the construction of the dam. “Our group is still a small group,” Ms. Euy explains. But the 50-member group finds time to hold meetings on the floor of Kanlaya’s home or on foggy evening while harvesting rubber in the fields. The group is able to sustainably sell snacks made of banana tree leaves and fundraise for their cause. “There are also other villagers. If they really come to build the dam, it’s not going to be just us,” Ms. Euy smiles. “We have friends,” she says. If all the people who depend on the Mekong can be counted as friends, Kok Wao has sixty million. 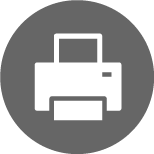 Jahala Dudley, University of Vermont, Anya Chang-DePuy, UMASS Amherst, Erin Oakley, American University, and Brytnee Miller, Whittier College, worked collaboratively on the research for this report. Can this be correct: “While the estimated cost of the dam is USD $1.7764 million, the environmental and social costs are estimated at USD $20 million.” B? Billion? Thousand million? I would hazard a guess that the estimated cost is $1.7764 billion, not million, which would make it roughly half the estimated cost of the Xayaburi Dam upstream. The estimated environmental and social costs of $20 million, would therefore be approx 0.00001% of total costs, quite clearly a patently inadequate amount by any standards (if the figures are correct). ADB no doubt would be more interested in approving of mainstream dam construction, (as they were in the past) if they were in the running for financing them, as they are for a handful of dams in Laos that are turning out (predictably and predicted by opponents) to be basket cases in terms of under-mitigated and compensated environmental and social impacts.